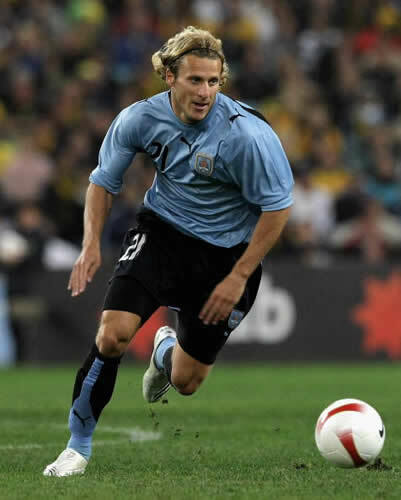 Diego Forlan has been named Best Player at the 2010 FIFA World Cup. The Uruguay striker topped the prestigious poll of accredited media representatives ahead of the Netherlands' Wesley Sneijder and Spain hitman David Villa. The 31-year-old Forlan took the starring role in his country’s heroic performance at the FIFA World Cup finals. The Spain keeper has conceded just two goals at South Africa 2010. Under pressure after La Roja opened up with a shock defeat by Switzerland, Casillas has since answered his critics with a string of superb displays that have proved crucial to his Spain's progress to a Final they have long dreamed about. One of his most vital interventions was the second-half penalty save from Paraguay's Oscar Cardozo in the quarter-finals, the prelude to two more priceless stops in the closing minutes. Casillas was on top form again in the semi-final against Germany, making fine saves from Piotr Trochowski and Toni Kroos. With Spain failing to take more of the numerous chances they have created (five of their victories having come by a single-goal margin), the Real Madrid custodian's performances between the posts have taken on even greater significance. In this his third FIFA World Cup™ finals, the ice-cool and ultra-professional Spain captain has reproduced his very best form, showcasing his agility and fabled powers of concentration and confirming his status as one of the finest custodians in the world. The Germany forward rates as the biggest discovery of the 2010 FIFA World Cup™. The Bayern Munich youngster has hit the headlines on and off the field, with five goals and three assists, and any number of quotable comments for waiting reporters. After just one season in the Bayern first team, the 20-year-old has become the darling of the German football scene, and provided all the evidence the FIFA Technical Study Group required to name him Best Young Player of the tournament. Practically the only blemish on Muller's record at the finals was his yellow card in Germany’s meeting with Argentina, causing him to miss his side’s semi-final defeat to Spain due to suspension. Muller succeeds fellow German Lukas Podolski as winner of the Best Young Player award, testament to the outstanding youth development programmes run by the German FA (DFB).